It is close to two years since we started to set up the field network. 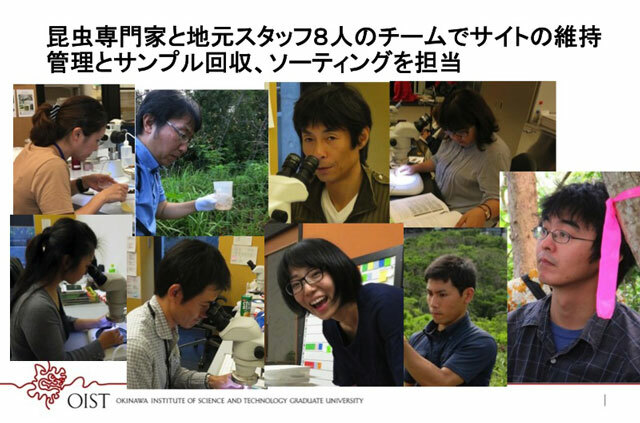 Originally it was simply an idea, then we set up 24 field sites across Okinawa with 72 SLAM traps as well as weather stations, acoustic recorders, and camera traps. With the assistance of various people this network was created in a mere two years. Furthermore, the SLAM traps, which was the first equipment to be set up, have collected approximately over 7,000,000 small insects so far. (In fact, we cannot accurately count them anymore.) 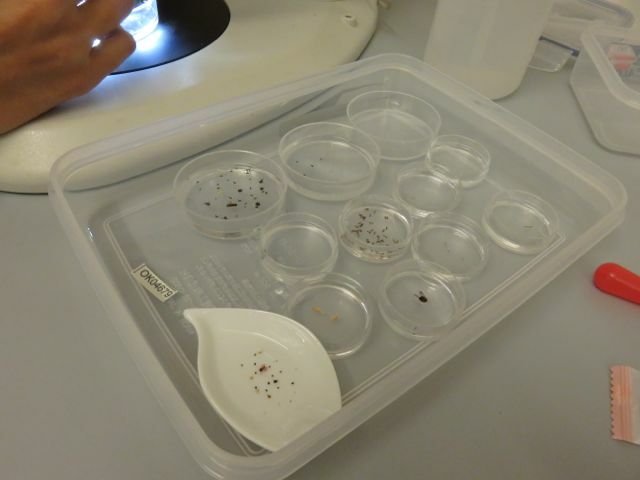 What’s more, more than 60 percent of the samples have been identified to insect orders, which is a remarkable achievement. The core part of the field network is the field staff, who manage field sites and equipment, collect samples and data, sort insects and prepare insect specimens. 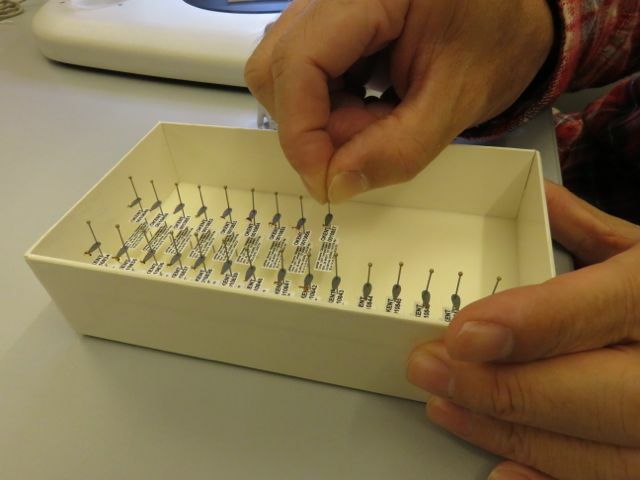 The ant specimens are filling up a huge specimen cabinet and they represent Okinawa’s current natural environment and will become Okinawa’s asset in the future. 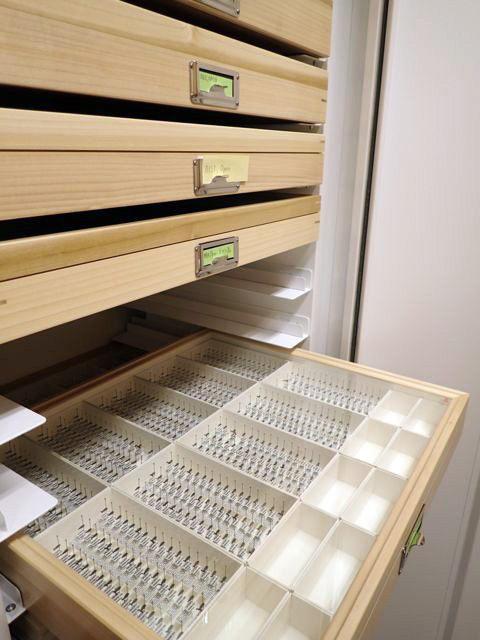 The specimens are not only impressive in terms of quantity, but their quality is also comparable to world insect collections. 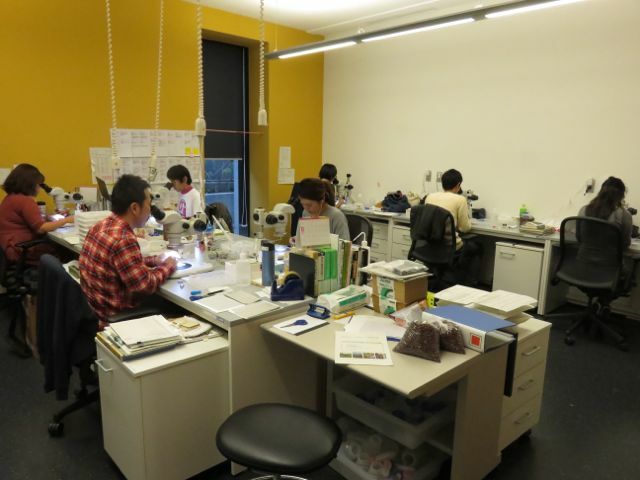 The field staffs are local people who used to be amateurs, however, under the guidance of Takuma Yoshida, an expert in entomology, they gained expertise and have become an indispensable part of the project at this point.